What do you really want to know? Muskoka Watershed Council wants to hear from you. In cottage real estate we get asked a lot of questions: Is it weedy? ; Eeeew! What’s that stuff? ; Why don’t we see crayfish anymore? 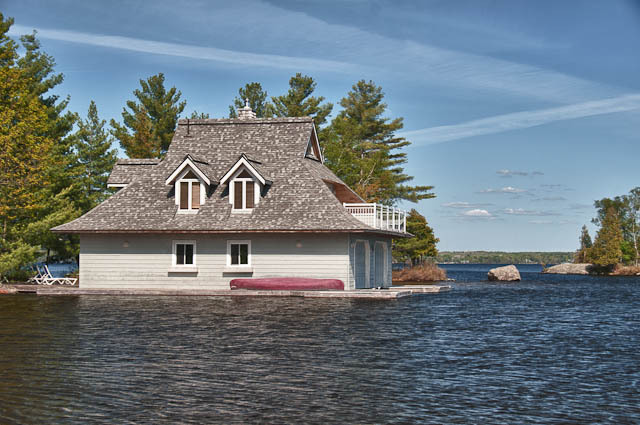 ; My boathouse dock’s underwater – what’s with the water levels this year? ; Is my water safe for swimming? ; etc. It’s really a lot of fun to answer most of the time! But here’s a chance to have some of what you want to know, perhaps monitored over time and have it reported on every 4 years! As many readers of this weblog know, the Muskoka Watershed Council (MWC) is a volunteer based non-profit organization with the mandate to champion watershed health in Muskoka; I am one of those volunteers. MWC produces a Report Card every four years. The Report Card is a science-based evaluation of the health of the water, land, and wetlands in Muskoka and the municipalities that share Muskoka’s watersheds. Three Watershed Report Cards have been released to date (2004, 2007 & 2010) We are also assisting the Georgian Bay Biosphere Reserve with the development of a State of the Bay Report for Georgian Bay, which will be released this year. For the next Watershed Report Card due to be released in 2014, we want to hear from you, what you want to know about the health of our watersheds. Click on the page below to ask your questions or find out more. Just had the best experience ever. 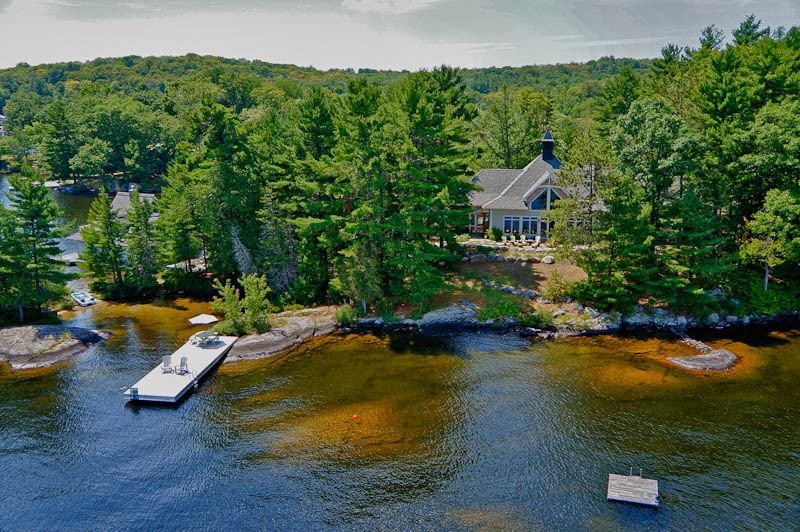 My wonderful client turned to me, as he was signing the offer on his new cottage and said “This is the most excited I have ever been in my life”. And I actually get paid to do this. Life is good! I’m sure the Bonnet Chest isn’t only a Canadian phenomenon. But, if you Google it, you will get lots of Canadian, and only a few US links. Even Wikipedia doesn’t know about them; searching for bonnet chest there will get you nothing. 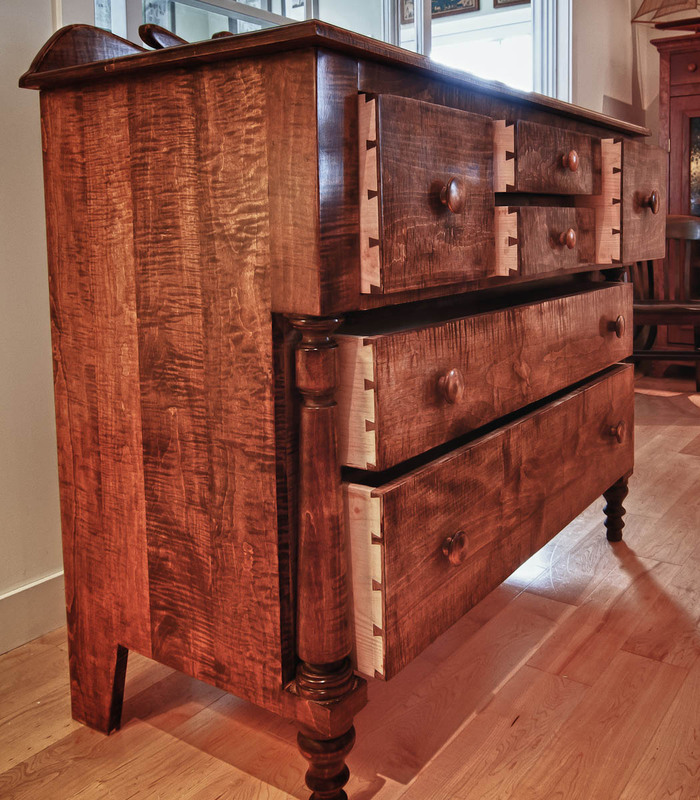 They are not mentioned in the otherwise excellent: The Heritage of Upper Canadian Furniture by Howard Pain. It seems that they may have been a Mennonite piece designed, of course, to protect bonnets. The design made its way into Canada from Pennsylvania and seemed to have become more popular here. I have always liked their shape. 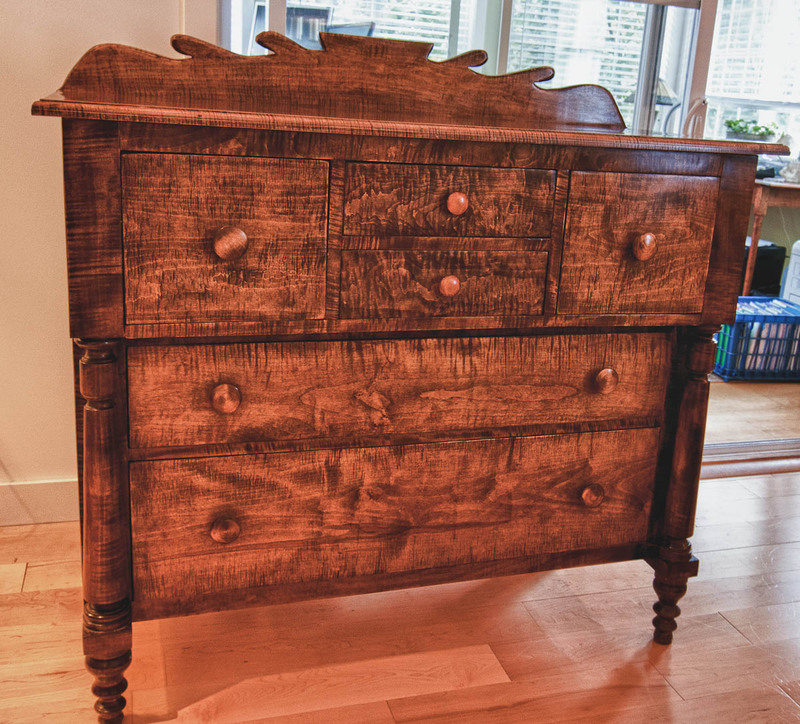 Especially the ones with the upper section projecting out a few inches (chest on chest), highlighting the oversize drawers; makes me want to pull one open and look inside. There’s just something about the lines and the substantial size. 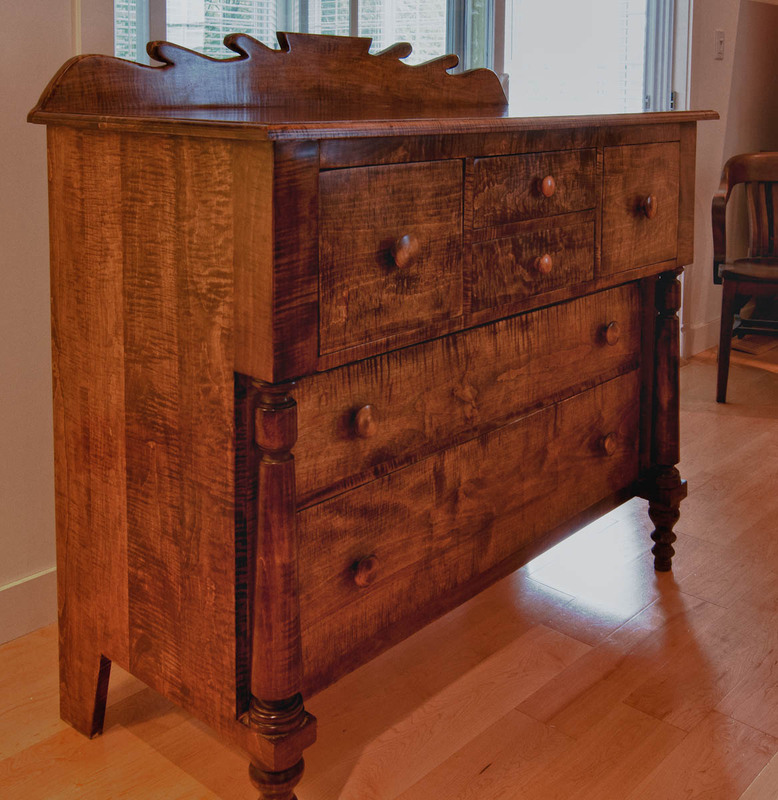 So, a bonnet chest has been on my list of things to make for a long time. Recently I saw a fairly good example of what was once a lovely chestnut piece at a cottage we sold. Unfortunately our seller was keeping it, and it moved away. Now recently, in that case, was more than two years ago. I went out the same week and bought some 4/4 curly maple. It took a couple of weeks a bit at a time to process the rough sawn wood into useable boards. But, it took over a year to build it. Not just because furniture making is done in my spare time. It’s because I was designing my bonnet chest based on ones I liked, while looking at pieces for sale on the local Kijiji and Craigslist. And while looking, I saw one that I had to buy in Beeton. 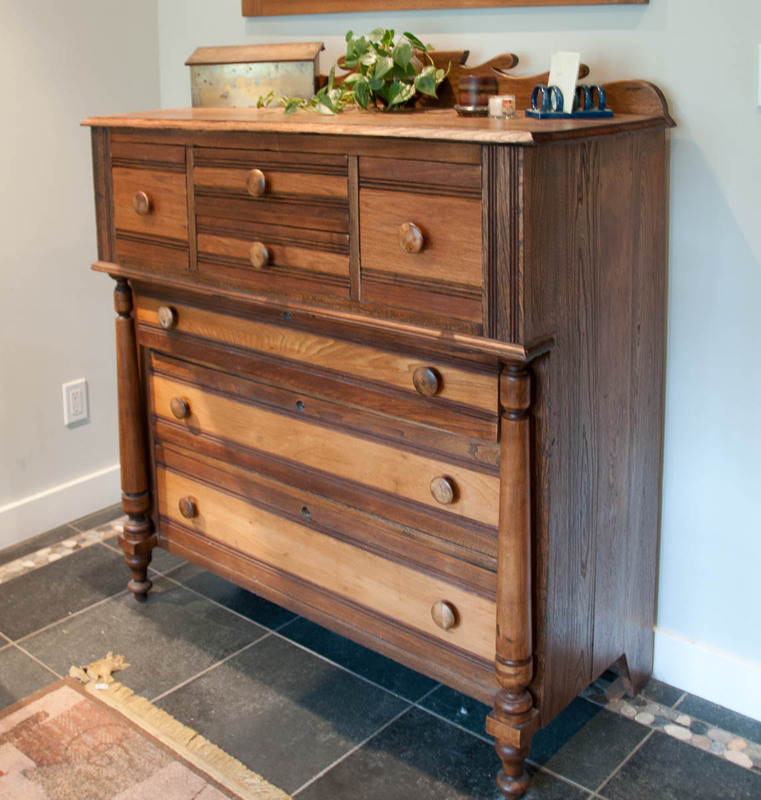 Over the years it had been pretty much reduced to a pile of water-stained boards, it was 90% apart, had had some type of birds (chickens maybe) living in the lower drawers and all the upper drawers and backsplash were gone – years ago and nobody knew where. But, it was only a hundred bucks or so, what was left was all made of butternut, and the money went to support Beeton hockey so I bought the pile of parts, headed to a sawmill and bought some rough-sawn butternut to replace the missing pieces and took it all home. It was winter so we weren’t too busy with cottages and within a week or so it was done. I feel great about saving this one; it could go on for another century or more, rather than rotting away. We are VERY busy in the summer, and pretty busy the rest of the year, so I got back to the new chest only from time to time. I am fairly slow with carcass pieces to begin with. In addition to turning some 8/4 maple on the lathe for the legs, which took some time to get around to, I knew I wanted to hand-cut dovetails, front and back in all the drawers. This turned out to be 100 dovetails in all, which makes the piece cool in the builders mind, but added a couple of months to the project in “eked out” time. Anyway, the bonnet chest is complete now, just as the summer is drawing to a close. We don’t have any bonnets, so we keep dog-leashes in one of the bonnet drawers of the old one, and not much at all yet in the new one. 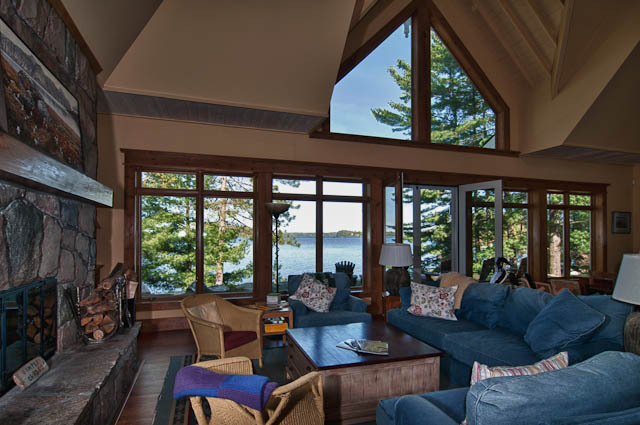 We have a magnificent property listed at Pine Point on Lake Muskoka. 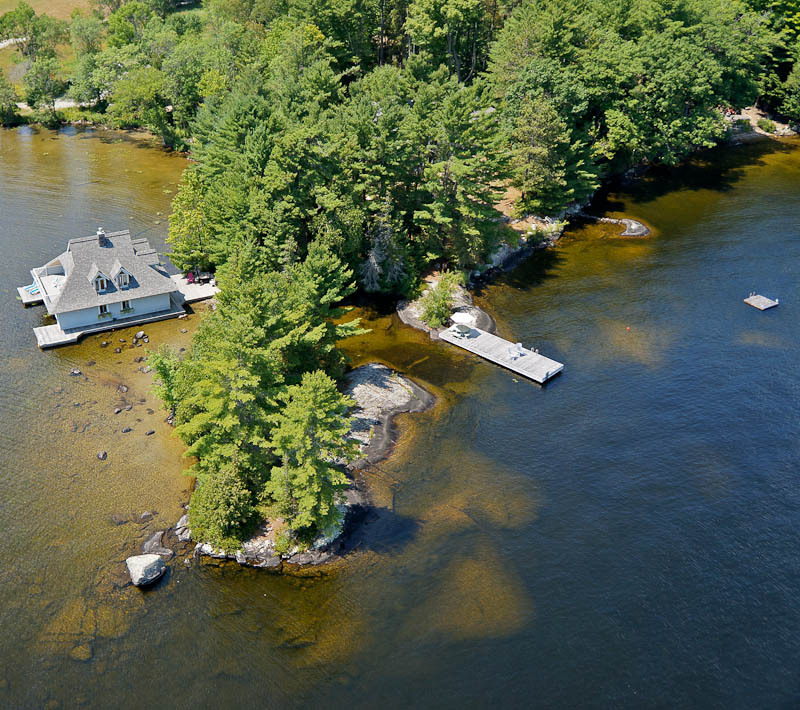 The key feature about this property is the land itself; the rare privacy afforded by 895 feet of Lake Muskoka frontage on this beautifully level point. 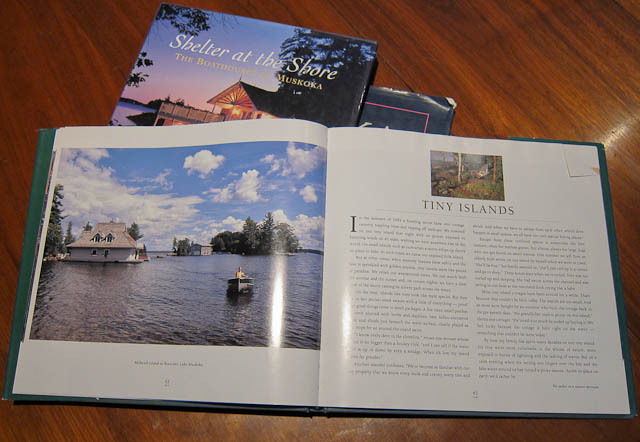 Nevertheless, the buildings, specifically the boathouse, has found its way into a number of classic Muskoka books. 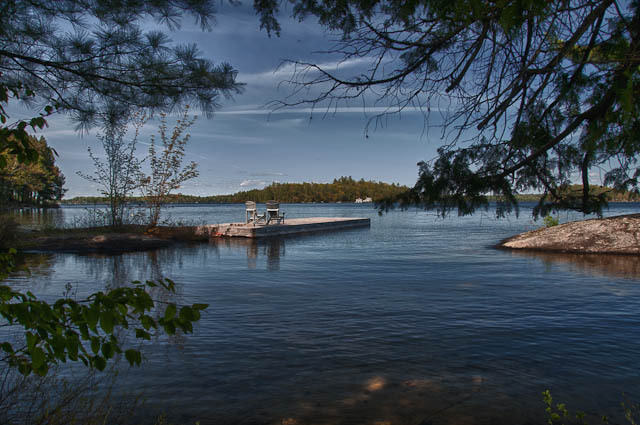 As an iconic Muskoka boathouse, the boathouse at Pine Point doesn’t dominate the scenery; it plays an important supporting role. Standing resolute to the winter cold and winds. 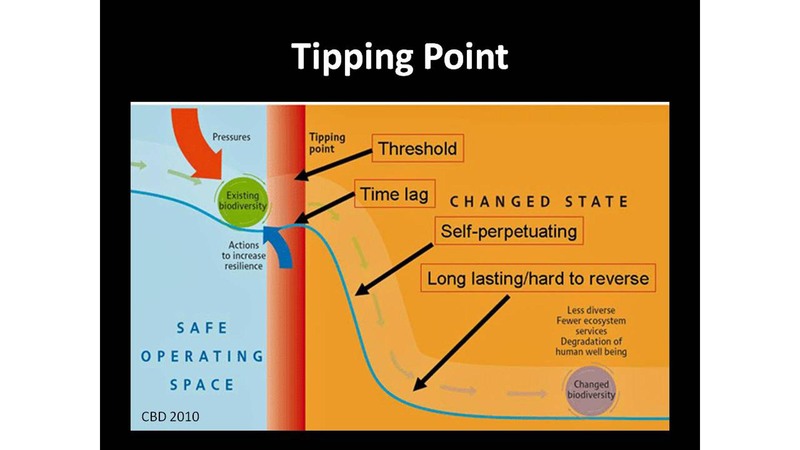 Loss of biodiversity, is it important if we don’t see it? As a volunteer, as well as being on the executive of the Muskoka Watershed Council, I am the videographer. This gives me a great opportunity to ensure that truly wonderful ideas and presentations are not lost after the words are spoken and the video projector is turned off. I record, edit and post to YouTube, lectures and presentations at Muskoka Watershed Council events. 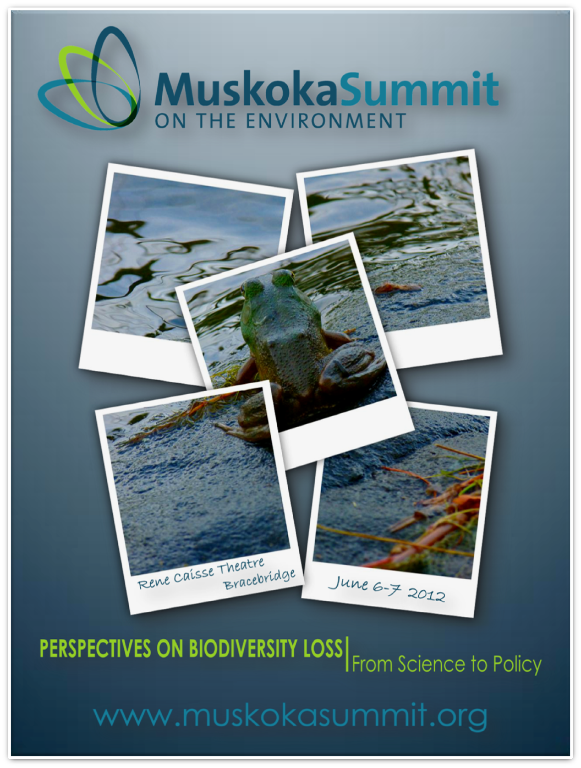 A most important event is the biennial Muskoka Summit on the Environment. On June 6th and 7th I recorded the presentations over the two day summit. Broadcast, in part, by CBC Radio’s Ideas with Paul Kennedy, (search for Buying Into Biodiversity), these were world-class lectures, presented here in Muskoka. I am delighted to be able to ensure these are available to the world. The first is now available at the following link on Muskoka Watershed Council’s YouTube channel: Loss of biodiversity, is it important if we don’t see it? It was presented by Justina C. Ray Ph.D. of the Wildlife Conservation Society, Canada. 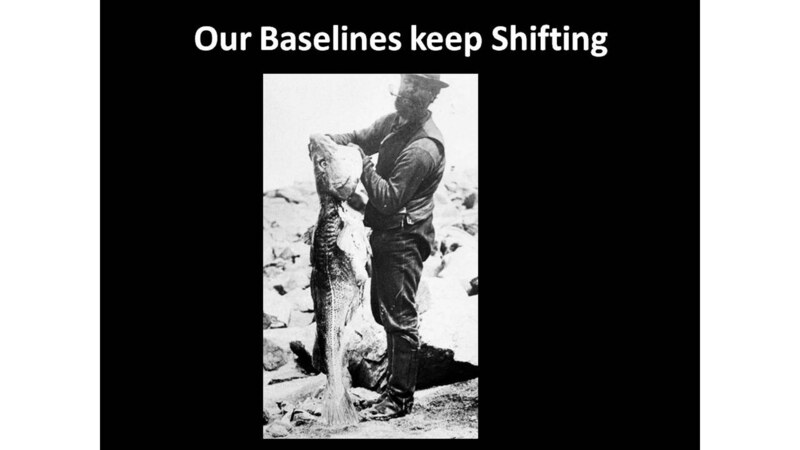 Justina raises some of the most important questions and current thinking on biodiversity and explores how our thinking has shifted over time, making biodiversity loss less apparent to us. Mice at your cottage – snakes may be your best friends. Don’t love snakes? They are harmless, all except the Massasauga rattler, which is virtually harmless; and 5 are in trouble in Ontario. Learning to live with them near your cottage, even going so far as to create some habitat for them may be the most effective and natural way to get rid of those rodents – that you really hate. I just finished editing, and posted a video on YouTube. Rob Willson of Riverstone Environmental presented at the Muskoka Watershed Council‘s Muskoka Stewardship Conference. 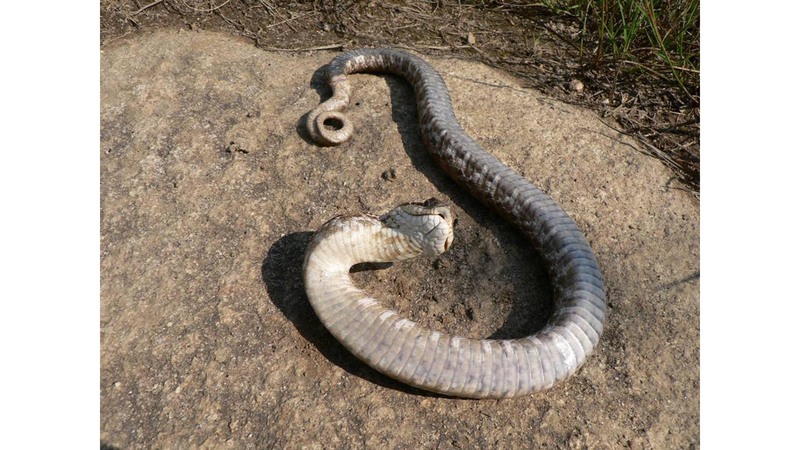 Hognose snake playing dead; all the while watching to see if you are appropriately convinced. On a trip we took to Italy this year I shot some video on a nice little handheld camera. Among tons of settings, automatic and manual, you can set it to speed up, with the top and bottom of the screen out of focus so everything looks miniature. Shot from the balcony of our hotel room in Rome, it’s fun to see pedestrians risking life and limb to cross the street. I was happy not to get video of any necessary ambulance visits, although there were some really close calls. 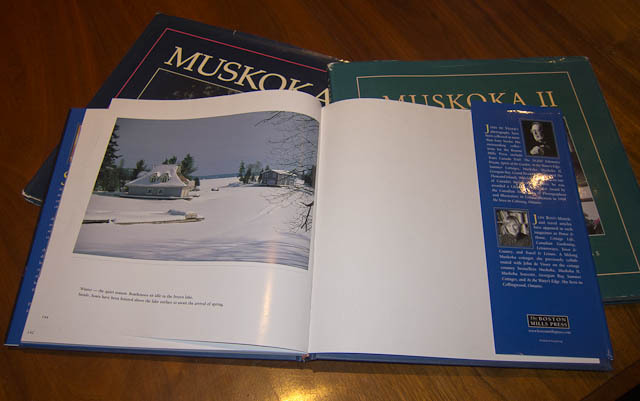 We’ll have to come up with some Muskoka scenes for the miniature effect – Antique Boat Show maybe. Here’s another really short one of people posing for pictures in front of the Trevi Fountain, then tossing their coins in. 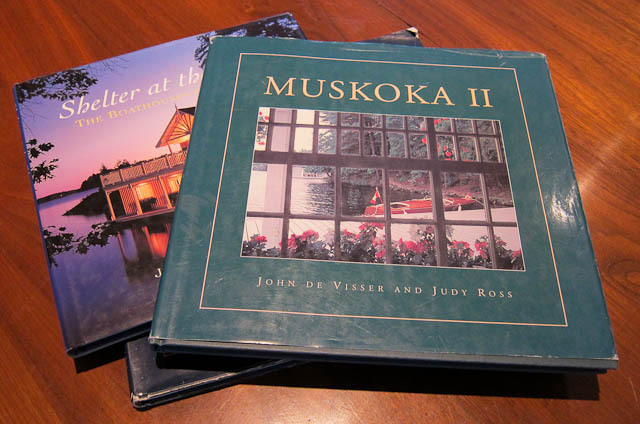 We have some great events in Muskoka each year. Among them are some really well attended and managed triathlons. Chris is entered in three: Gravenhurst, Bala and Bracebridge. We were out the other night, Chris doing the hard work, while I kept the sailboat alongside. You might recognize the route: west between Pine Island and the mainland cottages near Touchstone. 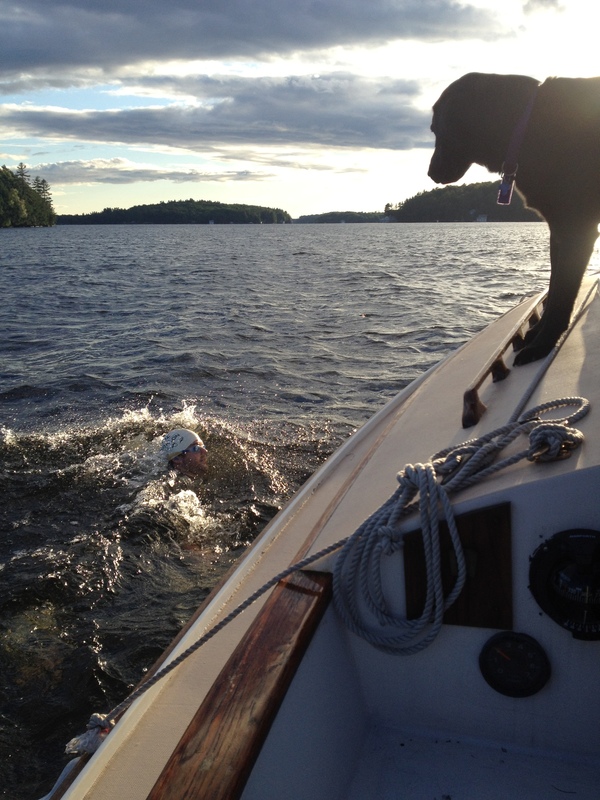 Kirby watching for good form – hey, a Lab ought to know! This has been an extremely busy Real Estate season so far, which is a good thing! On the other hand, this has the resulting effect of slowing some of my other activities. I have some great video presentations from the April 28th Muskoka Watershed Council Stewardship Conference, and I’m really trying to fit in some time to process the material and post it. The 1st one is Jan McDonnell from the Ministry of Natural Resources with Birds At Risk in Muskoka. I really have to push these out since there is lots more material I’ll be recording at the Muskoka Summit on the Environment over the next two days. The summit is all about Biodiversity Loss. There’s still time to register here. 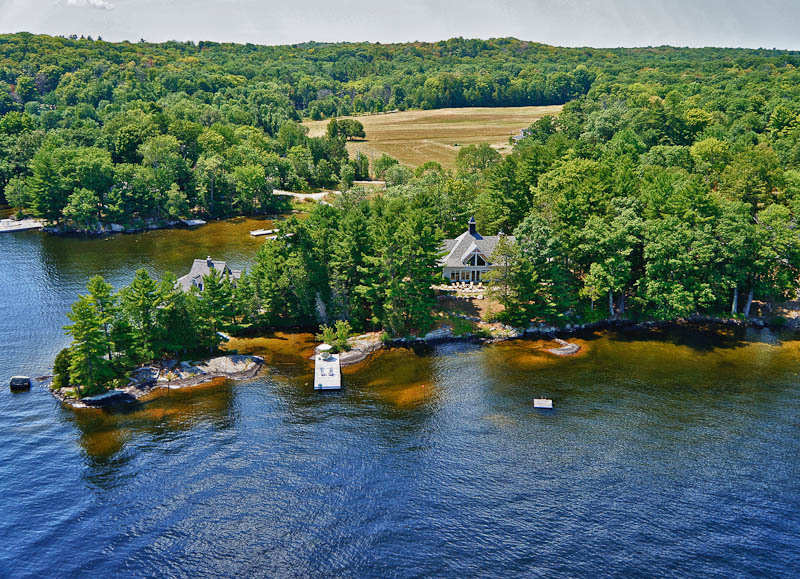 We are very excited, and justly proud to be able to offer such a rare Muskoka property. Private cove for kids … or floatplanes. 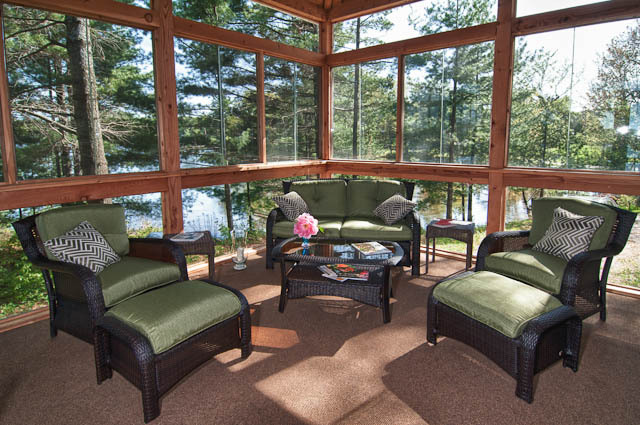 There is no question that the majority of people we take to see Muskoka properties spend 80% of the time inspecting inside the buildings and 20% on the property. This doesn’t seem right. Although lots of us do it this way, we should spend most of the time wandering the property. 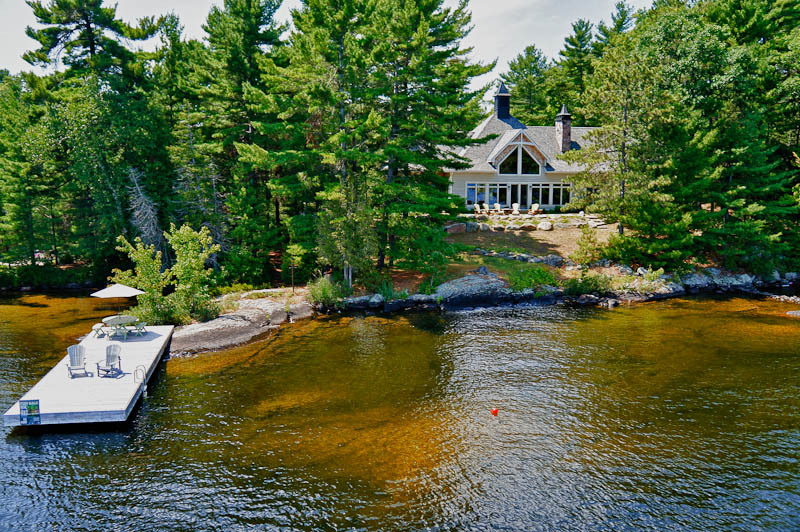 Ahhh, but so many properties are not really wanderable; they have nicely built decks and stairs, to take us from the cottage to the waterfront to the boathouse because they are often steep. 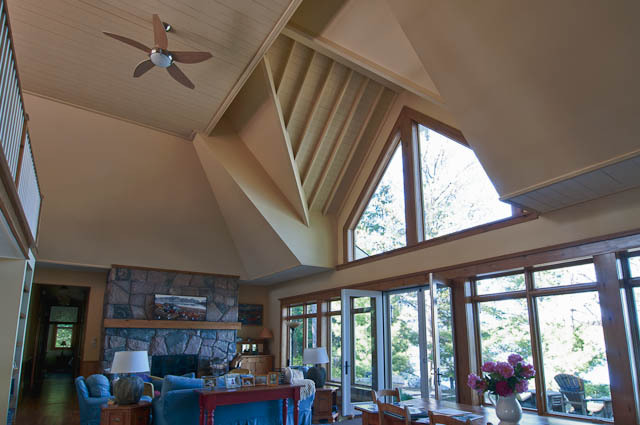 The perfect cottage properties were developed many decades ago. 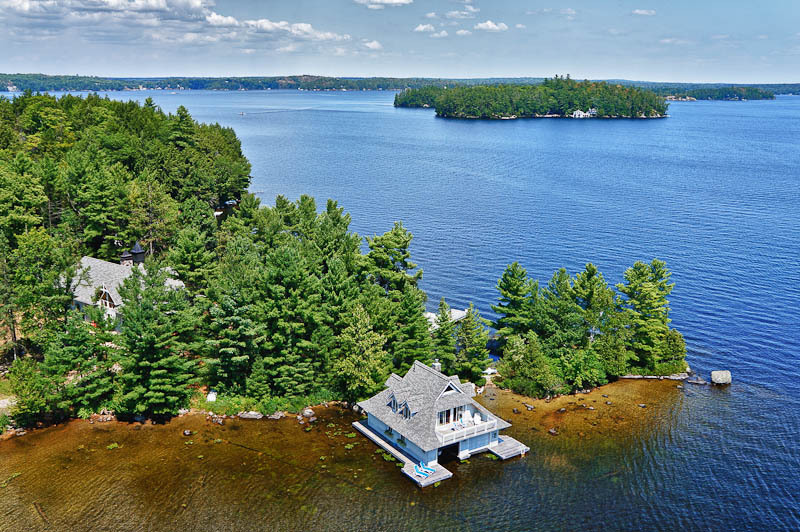 On this property the superb architecture of the cottage and boathouse, although beautiful, are secondary to the level point, cooling in Lake Muskoka, comprised of almost 900 feet of waterfront. 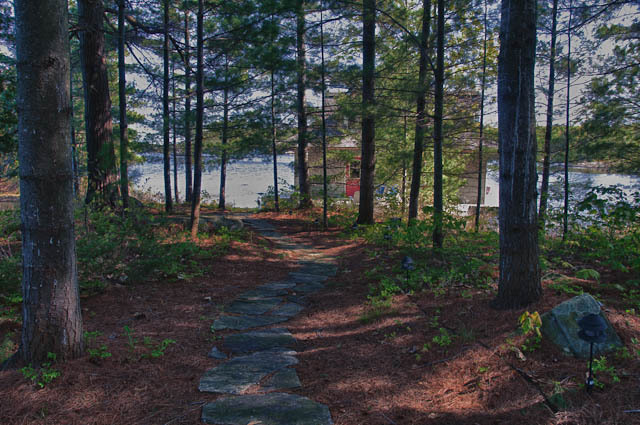 A simple path, not stairs, wends its way to the boathouse. Once you have satisfied yourself that the property itself is incomparable, then it’s always nice to have buildings like these. 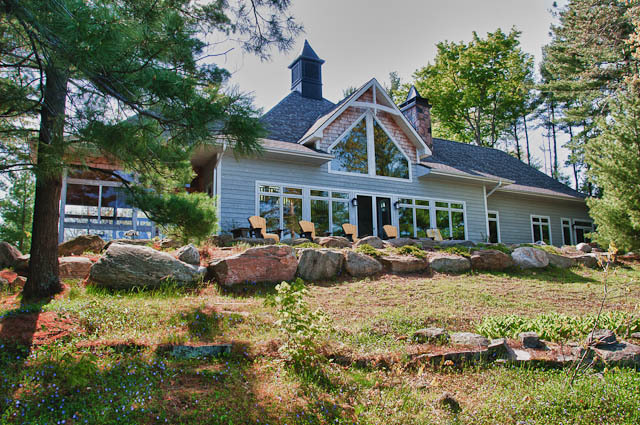 "Catharine always believed that we would find out perfect cottage (even when we weren’t so sure!). For three long years, she researched, investigated, and showed us properties on all three lakes. 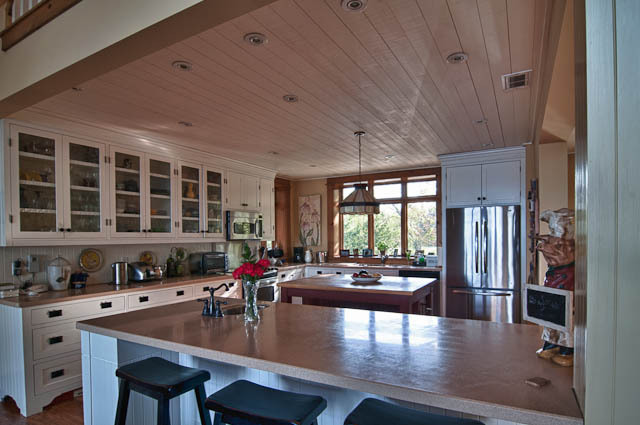 We had a big wish list – we wanted a 2,000 sq. 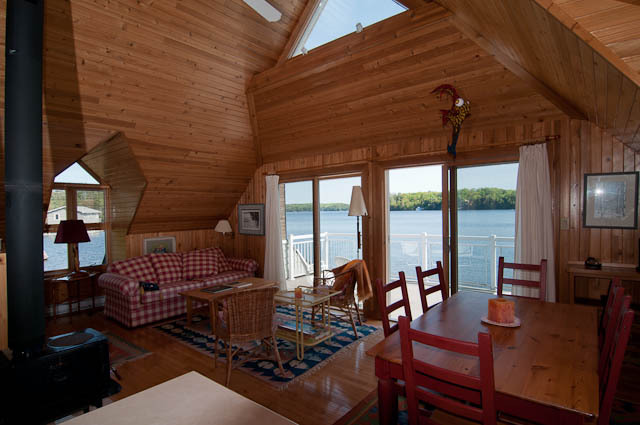 foot A-frame cottage on a flat secluded larger lot, 200+ feet of shoreline, sandy bay, and excellent water (ideally deep off dock and beach walk in). Over the years, a few offers didn’t pan out, but Catharine never lost her faith in us or the quest for our special home. 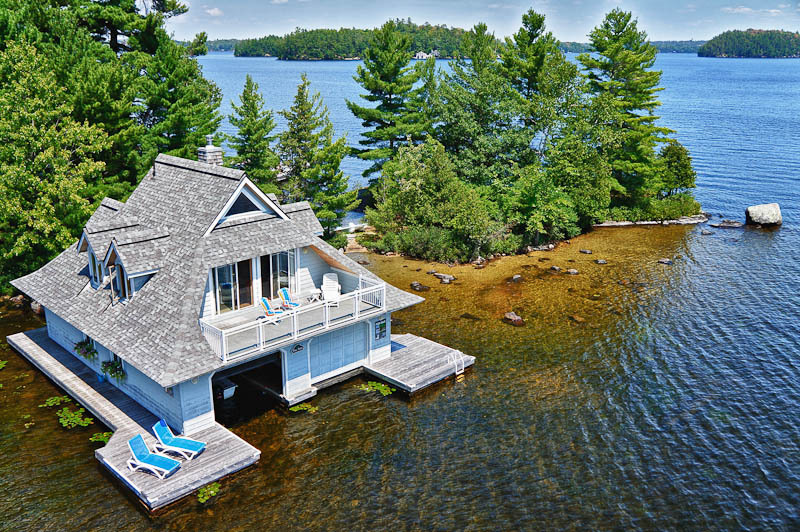 Just this month our dreams came true when Catharine helped us purchase a spectacular Noramerica post and beam cottage on Lake Muskoka, on a sandy bay with +250 feet of shoreline. As we sit in our Muskoka chairs sipping our drinks, looking over our beautiful bay where the kids are plaing in the water, we’ll be forever thankful to Catharine for her kindness, hard work, dedication and friendship."